Written by Travel Excellence Husbands Canadian Dianne McGaire, 56 and Scott McGaire, 53, were the first winners of the promotion of the Costa Rican Tourism Institute (ICT) called "Costa Rica’s Million Dollar Gift"; they arrived to the country on December 9th in one of the most amazingTravel Vacations you will ever see. The couple, from Ottawa, is one of the 255 people (families or couples) who, between 2011 and 2013, will receive a seven-night trip includes airfare country, ground transportation, hotels and breakfasts, thanks to the ICT campaign that launched in October for the U.S. and Canada citizens to have remarkable Costa Rica Vacations. The couple married for 20 years won the trip after entering the contest page on Facebook. The Vacations Package selected includes visits Central Valley, Caribe South, national park Manuel Antonio, national park Braulio Carrillo and wildlife refuge Gandoca Manzanillo, according to a reported press release sent by the ICT. There are other four packages: Romantic happiness, salvage happiness, adventure happiness and adrenaline happiness. The couple had visited the country once before, but were only one day, because their cruise made a small scale. "Well, we’re really excited. I think it’s a great opportunity. I talked to people who have been here before, and we told them that we will spend some time on the Caribbean side, and sometime in the Pacific side and they said, "Wow, you going to do both on the same trip?" Therefore, our relatives and friends are also very excited", said Scott McGaire, in a small statement said. Also, according to the Authentic Happiness package: “This unique experience will allow you to explore Costa Rica’s beautiful coastlines – Caribbean and the Pacific, while exploring the essence of Costa Rica”. After three days of Caribbean happiness, the couple will head west to Costa Rica’s refuge of the Macaw and the White-Faced Monkey. They get to see the beaches, and of course, the well-known national park, Manuel Antonio. 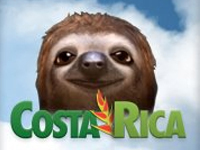 You will only get to see beautiful things down here; that’s one of the Costa Rica facts.